It has become one of my biggest pet peeves (and, I do have many) since beginning work at a “real world” day job. When people offer complaint, they should also offer a suggestion for improvement or a solution. Criticism is fine by me, but it should be constructive. 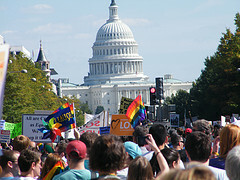 Veteran activist Cleve Jones has called for a march on Washington. He says it’ll be different from what most people think of as a “march on Washington.” None of the big flashy staging. None of the celebrity and fanfare. None of the circuit parties. 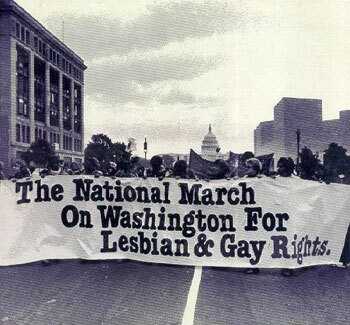 For the record: I think a march on Washington, in this day and time, is a bad idea. Jones is planning his march for October. Veteran gay activist David Mixner has called for one in November. Marriage advocate Robin Tyler says hold off to 2010. Whatever the date, whatever the time, there are several reasons why a march remains a bad idea: the money isn’t there, the time to plan and organize isn’t there and, even if the time and money suddenly appeared, national marches don’t accomplish squat. In the days since Jone’s call for a march has become public discussion, we’ve seen plenty of similar reasons not to plan the event. An L.A.-based LGBT journalist put together a list of five reasons not to march. An Indiana-based blogger put together a similar but more comprehensive list of 10. In a thread of 80 comments (and likely more by the time you read this), citizens of the LGBT blogosphere weighed in on the topic at Pam’s House Blend. And while there have been ideas for better uses of time and energy, what we haven’t seen as much are constructive alternatives to the march: ideas to turn whatever passion there is for a national march into real, change-inspiring, on-the-ground, long-lasting action. My five suggestions aren’t anywhere near exhaustive, complete or perfect, but, at the least, it is a start.